The first-ever African American has been named to oversee Mississippi's eight public universities. The state College Board announced Friday that Alfred Rankins Jr. will become higher education commissioner July 1 when Glenn Boyce retires. Rankins is the current president of Alcorn State University. It's a return to the central office for Rankins, who previously served as deputy commissioner. After temporarily leading Mississippi Valley State University, Rankins was named in 2014 as permanent president of Alcorn, where he earned his undergraduate degree. "Dr. Rankins has experience at both the system level and as a university president," College Board president C.D. Smith of Meridian said in a statement. "He also understands the challenges our universities face in today's higher education landscape." As commissioner, Rankins will hold a dual role of lobbying lawmakers for money for the universities and overseeing operations of the eight schools. The commissioner has become a more powerful figure in recent years as College Board trustees increased the office's sway over university leaders, pushing schools to work together. "My experiences at Alcorn will inform my decisions as commissioner, which will help me to serve all eight public universities in Mississippi as we work together to advance the system and the state," Rankins said in a statement. In 2012, trustees sent Rankins to be the temporary president of Mississippi Valley State after firing a previous president. Rankins was sent on a cleanup mission to a university that was losing students and money, to stabilize Valley enough that trustees could attract a pool of candidates to be the permanent president. 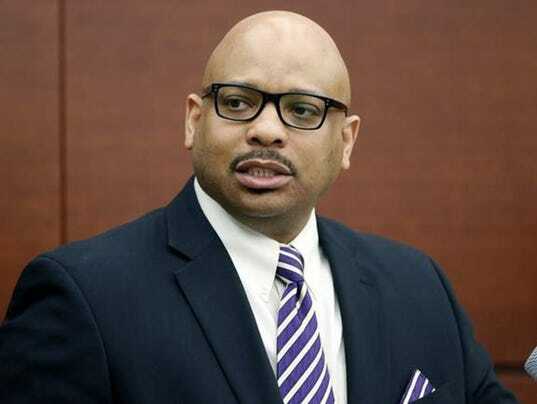 Only months after that assignment wrapped up, Rankins found himself again deployed to take over a state university in disarray, this time being sent on a permanent basis to Alcorn. Trustees sent Rankins to his alma mater after M. Christopher Brown II resigned under pressure during an investigation by then Commissioner Hank Bounds into purchasing law violations. It's the second time in a row that the board has named a commissioner without an extended search process, having also chosen Boyce that way in 2015. At that time, trustees were recovering from a fractious fight over their decision to oust Dan Jones as University of Mississippi chancellor, opening the possibility that lawmakers were going to attack their authority. Promoting Boyce, hired to replace Rankins, was a logical choice after Jim Borsig, who was commissioner a short time, decided return to being president of Mississippi University for Women. The quick vote also means Smith and three other outgoing trustees got to make the decision before they were replaced by four new trustees Gov. Phil Bryant has nominated. Rankins arrives as universities continue to scrap for more money from lawmakers. Boyce and university leaders including Rankins have lobbied to reduce funding cuts imposed in 2016, warning they're losing their ability to pay faculty members even as tuition climbs. Current budget recommendations call for giving universities 15 percent less in general funds in the budget beginning July 1 than they spent in 2016. Lawmakers could alter those outcomes as they finalize budgets this weekend, but a big boost appears unlikely. Under Bounds and Boyce, universities have focused on increasing enrollment to maintain and increase revenue, with most universities discounting tuition to attract out-of-state students. While the commissioner has only indirect influence on the lives of students, Rankins takes over a position — once known as executive secretary — that was integral to maintaining segregation at Mississippi universities decades ago. At the bidding of trustees in the 1950s and 1960s, the executive secretary was an important figure in attempt to prevent black students, including eventual University of Mississippi pathbreaker James Meredith, from enrolling at the state's then all-white schools. After earning a bachelor's degree at Alcorn, Rankins earned master's and doctoral degrees from Mississippi State University. He was a professor and extension specialist at Mississippi State before becoming the board's deputy commissioner.